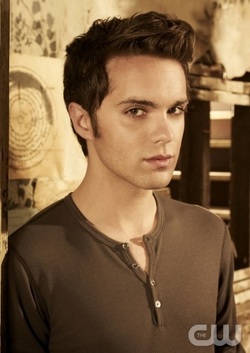 Biography: Adam is from one of the 12 families of New Salem, Massachusetts who possess magical powers. 11 of the members compose a Circle, but without the final person to make 12 they are without their full power. While on a search for a magical element, Adam meets Cassie Blake in California. Cassie saves Adam from a beating and the two share a kiss. Adam leaves California soon after and returns to New Salem. Unbeknownst to Adam, Cassie has moved to New Salem as well to care for her ailing grandmother. The Circle soon discovers Cassie is the 12th member of the Circle they need to obtain full power and they Initiate her into the Circle. Adam has felt a mysterious connection to Cassie since meeting her and their kiss. Unable to stay away from her, they kiss again and soon become overwhelmed with guilt. Adam and Cassie make a blood pact to never let Diana know that they love one another and always be true to their love and respect for Diana. Afterwards, the Circle becomes aware of a dangerous force in New Salem and must band together despite all of their issues to defeat it. Biography: Adam has grown up in Chance Harbor, Washington as part of a group of friends who recently discovered their magical powers and created a Circle. Adam's mother died in a mysterious accident which also killed at least one parent from the rest of Circle's families. When Cassie Blake moves to town after the tragic death of her mother, Adam and the rest of the Circle know Cassie is one of them. Adam feels an immediate connection to Cassie, but has a steady girlfriend, Diana who is also part of the Circle. Cassie is hesitant to believe she is a witch and does not want to join the Circle. Adam attempts to coerce her by showing her what they can do with magic and after doing a water spell, the two almost kiss.